Human case reports and results from basic research provide preliminary evidence that grape seed extract may affect heart diseases such as hypertension, high levels of blood cholesterol, cancer, platelet aggregation or inflammation. Some of these effects have been demonstrated in vivo in animal models. According to the American Cancer Society, "there is very little reliable scientific evidence available at this time that drinking red wine, eating grapes, or following the grape diet can prevent or treat cancer in people". A polyphenol contained in grape seeds is resveratrol, which is under study for its possible effect on cancer cell growth, proliferation or apoptosis, among other potential chemopreventive mechanisms. There are 13 clinical trials as of January, 2012, assessing potential effects of grape seed extracts on human diseases, such as breast cancer, blood estrogen levels in postmenopausal women, and coronary artery disease. One clinical trial with adults having coronary disease or cardiac risk factors concluded that: "Four weeks of muscadine grape seed supplementation in subjects with increased cardiovascular risk did not produce a statistically significant increase in brachial flow-mediated vasodilation or a significant change in other biomarkers of inflammation, lipid peroxidation, or antioxidant capacity. However, the muscadine grape seed supplement did result in a significant increase in resting brachial diameter. The clinical significance of the effect on resting diameter is not yet established." A meta-analysis of randomized controlled trials concluded that "grape seed extract appears to significantly lower systolic blood pressure and heart rate, with no effect on lipid or C-reactive protein levels." The US National Center for Complementary and Alternative Medicine reported that oral administration of grape seed extract was well tolerated in people over 8 weeks. 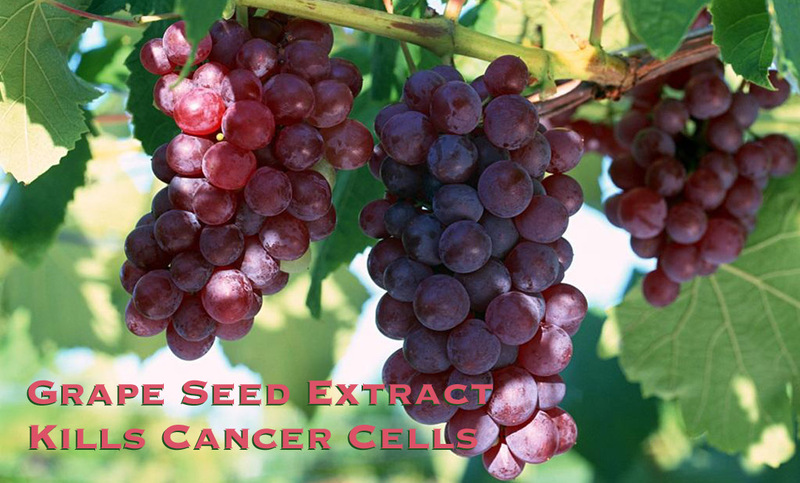 In one completed clinical trial, grape seed extract did not alleviate the hardening of breast tissue in female patients undergoing radiation therapy to treat breast cancer. High Fructose Syrup and Diabetes-A study-STOP all products that has high fructose HFCS. There was a time when "food" was something you ate or drank to nourish your body. It's a necessity of life -- like air and water -- and you could usually depend on food to be nourishing and healthy. But then something happened. Someone decided that food didn't have to be nutritious or healthy -- as long as they could make a profit from selling it. Early in human civilization, the limited diets of local farming and food production were supplemented by food specialists who imported things like spices, grains and sugar, making our consumption of food more interesting and varied. Farmers and fishermen sold their products in local markets, making it easier for the average human to obtain and eat a well balanced and varied diet. Consumers had always trusted that their food supply was healthy.But something has changed.Over the past year we have seen hidden cameras that documented Chinese bakeries who substituted bacon grease and cardboard as the filler of meat dumplings. We've had stories of anti-freeze and brake fluid being used as a cheap sweetner in everything from candy to cough medicine and toxic chemicals used to fake the protein analysis of baby and pet food -- all to make a profit. These high profile examples of greed have made people seriously ill and have even killed dozens of people. But a more sinister product of greed and poison is probably in your body right now -- killing you softly with sweetness.High Fructose Corn Syrup -- killing you softly Have you had a soft drink today? How about a candy bar, a stick of gum or some fruit juice. These are just the most obvious foods that contain high fructose corn syrup or HFCS. It's in just about everything that's sweet and things you don't normally think of as sweet. Things like bread, cereal, coffee creamer, ketchup and salad dressing all contain High Frustose Corn Syrup. It's now implicated as the main source of obesity, high blood pressure, elevated triglycerides and diabetes -- conditions that cause mysery and death around the globe.The GreedHFCS is a useful ingredient because it's sweet and saves the food producers money. Real sugar is very expensive because of sugar tariffs and import quotas. Even with all the chemistry and processing, HFCS is still the cheapest way to sweeten food. It's also said to extend the shelf-life of products and is much easier to mix in food because it's a liquid. Over the past 40 years, as methods for producing HFCS improved, food and beverage companies have replaced all other sweeteners with HFCS.What is HFCS?HFCS is not natural. It's manufactured from cornstarch, using a process developed in Japan in 1971. HFCS is made up of glucose and fructose molecules, unlinked. The most common form in the American food supply is HFCS-55, which contains 55% fructose and 45% glucose. The fact that the fructose and glucose molecules are not linked is very significant and we'll discuss that later.Fructose, the main ingredient of HFCS, is the villain in this story. Fructose is a simple sugar normally found in fresh fruits and vegetables. Fuctose is unique in that it does not require the body to make insulin in order to use it as fuel. Ingesting fructose doesn't produce that "sugar rush" you get when the body is pumping insulin to the bloodstream to digest other sugars, like glucose. This "rush" is connected with your feeling of "satisfaction" or "fullness," so after ingesting fructose you may not feel satisfied -- even though your caloric intake is the same as other sugars. This causes you to consume more.If you received your fructose only from vegetables and fruits (where it originates) as most people did a century ago, you'd consume about 15 grams per day -- a far cry from the 73 - 100 grams per day the typical adolescent gets from drinking HFCS sweetened soft drinks. In vegetables and fruits, it's mixed in with fiber, vitamins, minerals, enzymes, and beneficial phytonutrients, all which moderate the negative metabolic effects.Food manufacturers often compare the calorie of HFCS to normal table sugar. A teaspoon of both HFCS and table sugar is only 16 calories. Even accounting for the elevated consumption of fructose in HFCS, the increase in calories is not that significant. 15 grams of fructose (1 tablespoon) contains about 16 calories. 100 grams of fructose (6 tablespoons) contains about 105 calories. This seems hardly enough calories to cause a health problem, yet research confirms the problems are very real. For years scientists and nutritionists have been warning that more studies needed to be done to determine the complex metabolism of how our livers process and deal with fructose. While the exact biological process remains unknown, studies continue to link HFCS with many unhealthy global epidemics.2010: The Princeton Study reveals the terrible truthA Princeton University research team has demonstrated that all sweeteners are not equal when it comes to weight gain: Rats with access to high-fructose corn syrup gained significantly more weight than those with access to table sugar, even when their overall caloric intake was the same. In addition to causing significant weight gain in lab animals, long-term consumption of high-fructose corn syrup also led to abnormal increases in body fat, especially in the abdomen, and a rise in circulating blood fats called triglycerides. The researchers say the work sheds light on the factors contributing to obesity trends in the United States. When rats are drinking high-fructose corn syrup at levels well below those in soda pop, they're becoming obese -- every single one, across the board. The Princeton ExperimentThe first study showed that male rats given water sweetened with high-fructose corn syrup in addition to a standard diet of rat chow gained much more weight than male rats that received water sweetened with table sugar, or sucrose, in conjunction with the standard diet. The concentration of sugar in the sucrose solution was the same as is found in some commercial soft drinks, while the high-fructose corn syrup solution was half as concentrated as most sodas. The second experiment -- the first long-term study of the effects of high-fructose corn syrup consumption on obesity in lab animals -- monitored weight gain, body fat and triglyceride levels in rats with access to high-fructose corn syrup over a period of six months. Compared to animals eating only rat chow, rats on a diet rich in high-fructose corn syrup showed characteristic signs of a dangerous condition known in humans as the metabolic syndrome, including abnormal weight gain, significant increases in circulating triglycerides and augmented fat deposition, especially visceral fat around the belly. Male rats in particular ballooned in size: Animals with access to high-fructose corn syrup gained 48 percent more weight than those eating a normal diet. In humans, this would be equivalent to a 200-pound man gaining 96 pounds! "Some people have claimed that high-fructose corn syrup is no different than other sweeteners when it comes to weight gain and obesity, but our results make it clear that this just isn't true, at least under the conditions of our tests," said psychology professor Bart Hoebel, who specializes in the neuroscience of appetite, weight and sugar addiction. "When rats are drinking high-fructose corn syrup at levels well below those in soda pop, they're becoming obese -- every single one, across the board. Even when rats are fed a high-fat diet, you don't see this; they don't all gain extra weight." "These rats aren't just getting fat; they're demonstrating characteristics of obesity, including substantial increases in abdominal fat and circulating triglycerides," said Princeton graduate student Miriam Bocarsly. "In humans, these same characteristics are known risk factors for high blood pressure, coronary artery disease, cancer and diabetes." The Princeton researchers note that they do not know yet why high-fructose corn syrup fed to rats in their study generated more triglycerides, and more body fat that resulted in obesity. [Results published online March 18 by the journal Pharmacology, Biochemistry and Behavior. ]Unusual metabolism of HFCSDiscoveries about the unusual metabolism of HFCS were announced in a report published in the Archives of Internal Medicine by Julie Palmer and her colleagues at Boston University. This study showed that fructose metabolized differently from glucose, common table sugar. "The public should be made aware that these drinks are not a healthy alternative to soft drinks with regard to risk of type 2 diabetes..."
The findings came from an assessment of 44,000 black women in the United States who were checked from 1995 through 2005. Those who said they drank two or more non-diet soft drinks (sweetened with HFCS) a day had a 24 percent increased risk for developing type 2 diabetes than those in the study who drank fewer than one regular soft drink per month, the research team said.Women who drank two or more sweetened (HFCS) fruit drinks per day had a 31 percent increased risk compared to those who drank fewer than one such fruit drink a month. Diet soft drinks, grapefruit juice and orange juice (which contain no HFCS) were not linked to a higher diabetes risk.While pure orange and grapefruit juices also contain natural sugars, including fructose, they may have a different metabolic effect or may be more likely to be consumed as part of a meal, the investigators said.Those who develop type 2 diabetes will need a blood sugar monitor and will need to change their diet for the rest of their lives.A related study found that a low-fat diet does not seem to change the risk of diabetes. Thus becoming obese and becoming diabetic does not seem to be linked purely to weight gain from fat, but rather from the obesity specifically induced by the HFCS. "The common denominator that appears clear is that calories trump everything. And certain nutrients, like high fructose corn syrup, make it easier to overeat. If you keep the calories low, you can probably eat almost anything, which is what the low-carb diets show us. Specific metabolic issues aside, an important reason that low carb works is because you don't eat a lot of calories." -- Dr. Mark Feinglos of the Duke University Medical Center in North Carolina. * Australia: 56.2 kg, 123.64 lbs. -- diabetes rate 8%American Indians hit hard with diabetesAccording to government health officials, not only do the American Indian and Alaska Native populations suffer have the highest diabetes rates among ethnic groups, but the disease is increasing in the young American Indian population.Native American Indians have lived an ethnically isolated existence for tens of thousands of years. They have survived and evolved in a natural environment, free from processed and chemically altered food. As such, Native American Indians represent an example of a human anatomy in harmony with what is healthy and nutritious. European vices, such as alcohol and sugar, have a dramatic effect on these people and so demonstrate the dangerous and unhealthy aspects of our modern diet. High Fructose causes diabetes in laboratory. Fructose, weight gain, and the insulin resistance syndrome. This review explores whether fructose consumption might be a contributing factor to the development of obesity and the accompanying metabolic abnormalities observed in the insulin resistance syndrome. The per capita disappearance data for fructose from the combined consumption of sucrose and high-fructose corn syrup have increased by 26%, from 64 g/d in 1970 to 81 g/d in 1997. Both plasma insulin and leptin act in the central nervous system in the long-term regulation of energy homeostasis. Because fructose does not stimulate insulin secretion from pancreatic ÃŸ cells, the consumption of foods and beverages containing fructose produces smaller postprandial insulin excursions than does consumption of glucose-containing carbohydrate. Because leptin production is regulated by insulin responses to meals, fructose consumption also reduces circulating leptin concentrations. The combined effects of lowered circulating leptin and insulin in individuals who consume diets that are high in dietary fructose could therefore increase the likelihood of weight gain and its associated metabolic sequelae. In addition, fructose, compared with glucose, is preferentially metabolized to lipid in the liver. Fructose consumption induces insulin resistance, impaired glucose tolerance, hyperinsulinemia, hypertriacylglycerolemia, and hypertension in animal models. The data in humans are less clear. Although there are existing data on the metabolic and endocrine effects of dietary fructose that suggest that increased consumption of fructose may be detrimental in terms of body weight and adiposity and the metabolic indexes associated with the insulin resistance syndrome, much more research is needed to fully understand the metabolic effect of dietary fructose in humans. Obesity and type 2 diabetes are occurring at epidemic rates in the United States and many parts of the world. The "obesity epidemic" appears to have emerged largely from changes in our diet and reduced physical activity. An important but not well-appreciated dietary change has been the substantial increase in the amount of dietary fructose consumption from high intake of sucrose and high fructose corn syrup, a common sweetener used in the food industry. A high flux of fructose to the liver, the main organ capable of metabolizing this simple carbohydrate, perturbs glucose metabolism and glucose uptake pathways, and leads to a significantly enhanced rate of de novo lipogenesis and triglyceride (TG) synthesis, driven by the high flux of glycerol and acyl portions of TG molecules from fructose catabolism. These metabolic disturbances appear to underlie the induction of insulin resistance commonly observed with high fructose feeding in both humans and animal models. Fructose-induced insulin resistant states are commonly characterized by a profound metabolic dyslipidemia, which appears to result from hepatic and intestinal overproduction of atherogenic lipoprotein particles. Thus, emerging evidence from recent epidemiological and biochemical studies clearly suggests that the high dietary intake of fructose has rapidly become an important causative factor in the development of the metabolic syndrome. There is an urgent need for increased public awareness of the risks associated with high fructose consumption and greater efforts should be made to curb the supplementation of packaged foods with high fructose additives. The present review will discuss the trends in fructose consumption, the metabolic consequences of increased fructose intake, and the molecular mechanisms leading to fructose-induced lipogenesis, insulin resistance and metabolic dyslipidemia. Patanjali products by Divya Pharmacy which is also known Baba Ramdev Medicines is really healing many numbers of illness / diseases / health issues that many of the allopathy medicines may not work. No gurantee for cure as these are herbal supplement and not classifies by FDA as to cure disease ,so remember to discuss with your doctors before you buy or use it as many prescription medications interact with herbal medicines or supplements. Click here- pharmacystore- for USA and world and buy in US Dollar currency. 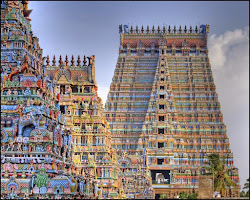 Click here patanjaliayurved for INDIAN buyers if you want to pay in Indian Currency. Hepatoprotective action: The natural ingredients in Liv.52 exhibit potent hepatoprotective properties against infective hepatitis. Improves appetite: In less than optimal growth and weight gain, Liv.52 normalizes the basic appetite-satiety rhythm. As a daily health supplement, Liv.52 improves appetite, digestion and assimilation processes and promotes weight gain. For the prevention and treatment of infective hepatitis and loss of appetite. Chicory (Kasani) is a potent antioxidant, which can be seen by its free radical scavenging property. The hepatoprotective property of Chicory suppresses the oxidative degradation of DNA in tissue debris. Natural Herbal Immune enhancing Germ Killers , Antibiotics.